Black-necked and Slavonian Grebes; fantastic birds, and would be even better with decent photos. I have the task of writing an action plan for Black-necked Grebe. Hmm, what do you do for something that is considered more League Two than Premier when it comes to conservation ranking? Black-necked and Slavonian (which definitely does get a high ranking) form an interesting comparison pair and I’ve looked at breeding sites of both species this summer. Both broadly like highly productive, shallow, open waters, with marginal and submerged aquatic vegetation. The more southerly BNG likes its open waters to be larger than the Slav in general, more nutrient-rich, and sometimes ephemeral. The ephemeral bit is interesting. Breeding birds frequently appear on shallow floods, and floodplain habitats are used extensively in other parts of the world. So, one option would be to create shallow lakes or meres, which would have the added benefit of being highly attractive to a wide range of birds. So perhaps this is the BNGs relevance to conservation in the UK – it represents a largely missing habitat type. However, it is the quality of the marginal and submerged vegetation that seems to be important for both these grebes, as this has a direct influence on the key threats to nest survival in both; nest flooding in spells of poor (windy) weather, and predation. So that’s it; create shallow meres with luxuriant aquatic vegetation. Job done. I was feeling a bit cheerful today so I decided to take the edge off that with a visit to the Girling Res. For once, the site turned up trumps; a flock of 36 BNGs. This early return of adults, with just 4 young birds amongst them, not only hints at a poor breeding season but also provides a clue as to where these birds are coming from. Passage B-t Godwit, Ouse pool with waders, Cranes - "don't look now but is that a Fox?" Look, all I want to do is go out locally, visit a little muddy pool and see a few passage waders. Is that too much to ask? Well evidently it is. The water is either too high or too low, or it’s bone-dry, or overgrown. Travelling around a number of sites over the last week, I was struck by the lack of good quality wet habitat for waterbirds at the current time. Okay, it has been a dry spring and water is in short supply despite the recent rain, but there seems little or no attempt to even try and create shallow wet habitat with muddy margins. Have we forgotten about the importance of feeding stop-over locations for passage waterbirds? Food-rich, shallow wetland habitats are important for wetland birds prior to, or during, migration. 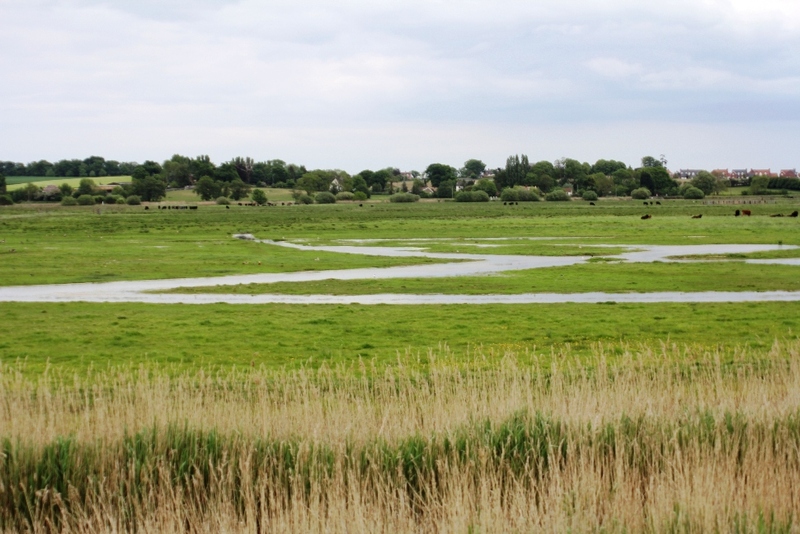 Birds have differing migration strategies and will use these wetlands in different ways. This was clear during the recent trip to the Netherlands when Jan van der Winden's discussed his fascinating research into Purple Heron ecology. After breeding, Purple Herons spend a month or so in a favoured feeding area to put on weight before migration. They remain within this rich feeding area, roosting nearby. With a fast, long-distance flight to follow, good feeding areas are critical at both ends of the journey. Other species will use wetlands to ‘re-fuel’ along the way, with shorter flights between stop-over sites. Birds that reach the most productive of these sites may move on in a relatively straightforward manner towards the wintering areas. On the other hand, birds that miss the main sites or encounter difficulties in ‘re-fuelling’ , either because of low quality habitat or food depletion by preceding birds, need the option of alternatives before moving on. A complex of stop-over sites through the flyway is therefore essential. Okay, so there are a number of large, mainly coastal, sites that cater for passage birds (not necessarily all in good condition), but the range of alternative options in the wider countryside is sparse. Yet on nature reserves that might be expected to provide such habitat, provision seems mostly incidental rather than a deliberate and thoughtful attempt to provide good quality habitat. It does not appear to be a conservation priority. Surely this is wrong. A visit to the Ouse Washes at last delivered some reasonable habitat. A muddy pool supported 24 Ruff as well as Avocet, Dunlin, Redshank, Lapwing and Green Sandpiper. The next pool had Shoveler, Garganey and Teal. Nearby, 3 Cranes eyed-up a young Fox before chasing it up the bank. Well, the S, W, P of grassland management actually – sward, water and predation. With the breeding season fading fast, last week involved a fair amount of reviewing how it all went. Breeding waders have fared badly this spring on a lot of wet grassland reserves due to the dry conditions and the resultant increased impact of various predators, as noted here before. However, Cantley Marshes is a shining example of a careful and considered approach to understanding the issues on a site and finally delivering the goods. When I first looked at Buckenham and Cantley in 2005 it supported 119 pairs of waders, but numbers were declining and Lapwing productivity was way below the target figure of around 0.7 fledged chicks per pair to maintain a stable population. An initial habitat ‘audit’ identified clear problems: the sward was too long and dominated by rushes, and the grassland was drying out too early in spring. A programme of rush control and improved grazing (with clear targets for spring sward height) was put in place. Improvements were made to the water regime; low spots hemorrhaging water into ditches were identified and blocked, and additional water features were created to hold winter rainfall. With the habitat looking better, waders increased, but not to target levels and productivity remained low. Two years of study of predation rates followed. With data loggers placed in the nests (to determine the time of predation) and nest cameras overlooking selected nests, it was clear that predation was an issue. Surveys of crow and fox numbers showed both to be above critical levels, but with the loggers pinpointing nocturnal predation and the cameras taking lovely snaps of Foxes, the main culprit was becoming clear, although as on other sites, the overall predation picture was complicated and varied from year to year. 2011 was the year when it all came together. It took a while you may say, but this was a careful step by step approach of evidence gathering and problem solving. Achieving ideal habitat condition is critical. Following further tinkering with the water regime, the fields held high water levels into the spring despite the dry conditions. With these high water levels reducing the ingress of ground predators, combined with a targeted early season reduction of Foxes, the number of waders and their hatching success both increased. The end of season result was a total of 161 pairs of waders and a minimum productivity total of 0.8 chicks per pair of Lapwings. Waders are under pressure in the lowland wetlands where they were once so common. But how many of our wet grassland nature reserves simply fail their S W P? Feeding Spoonbill pictures taken by John Bottomley at Titchwell. The Wadden Sea islands are remarkable for both migrant and breeding birds. Texel, at the southern end if the chain, is perhaps the best known to birders and has high levels of conservation management involving terns, waders, plovers and Spoonbill. One key fact is that the island has virtually no mammalian predators, just a few Stoats. This was clear at our first stop; a Sandwich Tern colony of some 1200 pairs, on easily accessible spits and islands but full of chicks. The next stop was one of two Spoonbill colonies on the island, one amongst scrub, the other in saltmarsh, but both on the ground. Spoonbills have been increasing in the Netherlands since the 1980s. There was an expansion into the Wadden Islands after the colonies at Oostvaardersplassen moved when the site was dried out for some years. The two colonies appear to feed principally on different food. The 'scrub' colony feeds on sticklebacks, with birds foraging principally on the Dutch mainland many miles away. 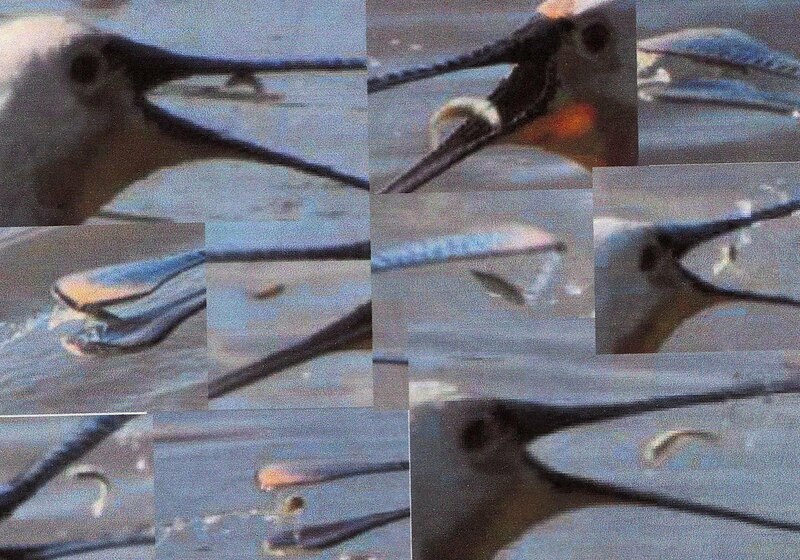 The saltmarsh birds feed on prawns in the Waddensea. The Dutch have developed specialised sluices to allow spring-running Three-spined Sticklebacks to enter freshwater from the sea. This forms a key early food for Spoonbills, as discussed in a previous blog. Prawns increase in size and abundant later in the season and thus the saltmarsh colony breeds later. So what do we need to get Spoonbills established as a breeding bird? A large wetland nesting site, secure from predation and disturbance, and large food-rich shallow wetlands. Birds may travel many miles between these sites. Wandering on through dunes we saw numerous Bluethroats (60 pairs on Texel), Bittern (5 boomers in dune pools), abundant Marsh Helleborine and Fen Orchid of the subspecies ovata, with its more oval, hooded and erect leaves. Kentish Plover previously nested here but are now declining in The Netherlands, with the population down to c200 pairs, mainly in the delta region. The habitat looked good and was extensive but human disturbance is a problem. A newly created scrape held many Little, Common and Arctic Terns, as well as 100+ pairs of Avocets. With increasing pressure on beaches, this is exactly the sort of conservation action that is required for our terns. Nearby we looked over a saltmarsh wader roost, holding 10,000+ each of Curlew, Oystercatcher and Knot, and 20,000+ Bar-tailed Godwits. A bull Heck Cattle, Great White Egret and a forest of Red Deer stags - it is summer, the bushes are dead. Oostvaardersplassen in The Netherlands is often held up as a fine example of large, natural dynamics management; but is it all it's cracked up to be? A few days in The Netherlands exchanging views with Dutch counterparts was a chance to recharge ecological batteries and become inspired again. Speaking with Dutch ecologists the air was thick with bird talk, of detailed bird ecology. 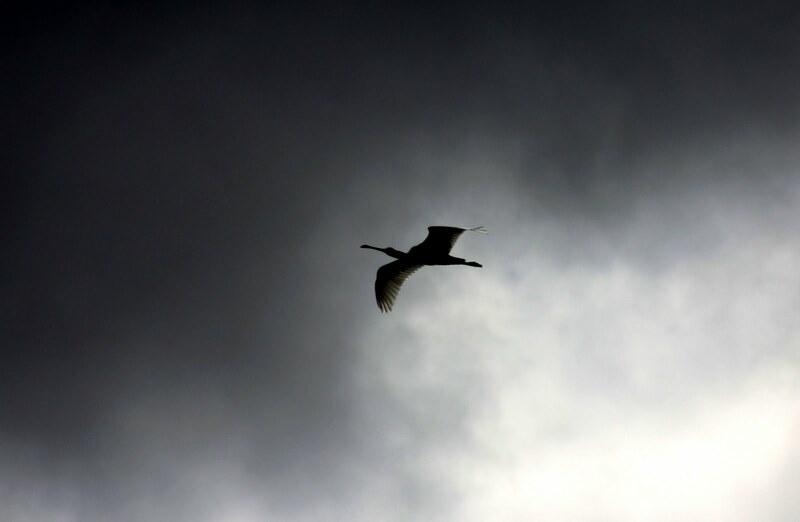 Of Purple Herons, Spoonbills, Baillons Crakes, White-tailed Eagles, Eagle Owls and more. Fantastic. The key topics of discussion centred around the strategic management of freshwater and coastal habitats, with an emphasis on potential colonists for the UK. So, back to the Oostvaardersplassen. The Dutch Ecological Networks Plan aims to create 160,000 ha of ecological networks throughout The Netherlands. The Oostvaardersplassen is part of this network and extends to 60 sq km. The aim is to have a ‘natural’ system controlled by grazing and fluctuating water levels. The wetlands (around half the area) support large numbers of key species, including the largest colony of Great White Egrets in The Netherlands. The drier, peripheral land is grazed by huge herds of Koniks, Red Deer and Heck cattle. We saw several hundred of the 1,000 or so Koniks in one herd. It is hard to come to any other conclusion than that these areas are over-grazed; there is remarkably little diversity other than large herbivores, Greylag Geese, Red Foxes and Ravens. There is so little food in these areas that Marsh Harriers have to forage up to 8 km from the nest to find adequate food. However, for wetlands, there are some key messages to be taken from here: firstly, big is critical for colonising populations, and secondly, dynamic water management is essential to maintain populations of wet reed species. We need to take this on board in the UK. White-tailed Eagle and nest (nice turbines! ), Koniks, view over the Oostvaardersplassen.